Ever heard of "shorting the dollar"? I don't know a whole lot about financial investing, but I do know that there are people who invest in other currencies, hoping the dollar will continue to decrease in order to increase their own wealth. "Well, that's not very nice," you might be saying. But there may be a lesson to be learned from them. What these people are actually doing is looking at a bigger picture. They examine the way the dollar is functioning in the global economy and then make an educated investment. These guys recently made billions. We too, need to be looking at the big picture and become wise investors today -- but not just in earthly opportunities. Yes, we need to be wise stewards of the finances God has entrusted to us. Perhaps God is calling us to be a Joseph, storing up goods to help others in future hardships. That is our heart's desire here in the Land. But most importantly, we need to step up as believers and realize how the investments we now make in prayer and sharing the Gospel transform into eternal investments -- with a guaranteed rate of return that will exceed our wildest imagination! 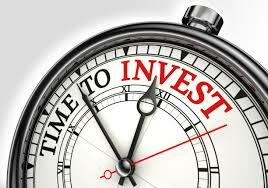 Let's not settle for small-time investments -- let's get serious about investing in the Kingdom of God! Dear Lord, help us not settle for little things but instead go for the big investments in the kingdom. Help us to invest in the lives around us so that they too can be part of Your family. In the Name of Jesus, Amen.